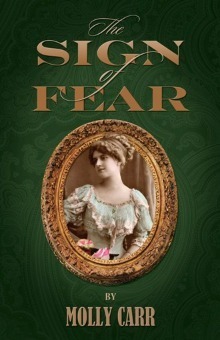 The Sign of Fear by Molly Carr is indeed unique. Take everything you ever thought you knew about Holmes Watson and Mary Morstan and throw it to the winds, ‘cause it just ain’t so! There is one surprise after another in this book of adventures of Mrs. Watson and her new detective agency. The names of the players may be the same but the stage show is significantly different. Maybe some of those cases attributed to Holmes weren’t his and maybe Watson wasn’t all he seemed to be. And most importantly, maybe Mary wasn’t the benign creature she has been portrayed as. For those that remember “The Man with the Twisted Lip” it seems that Mr. St Clair was not the only one in the family that liked to play dress up, as his wife joins the agency as a cross dressing member of the Fanshaw & Watson detective agency. Each chapter brings a new puzzle and new information about the characters you thought you knew.